What is a usable flag? 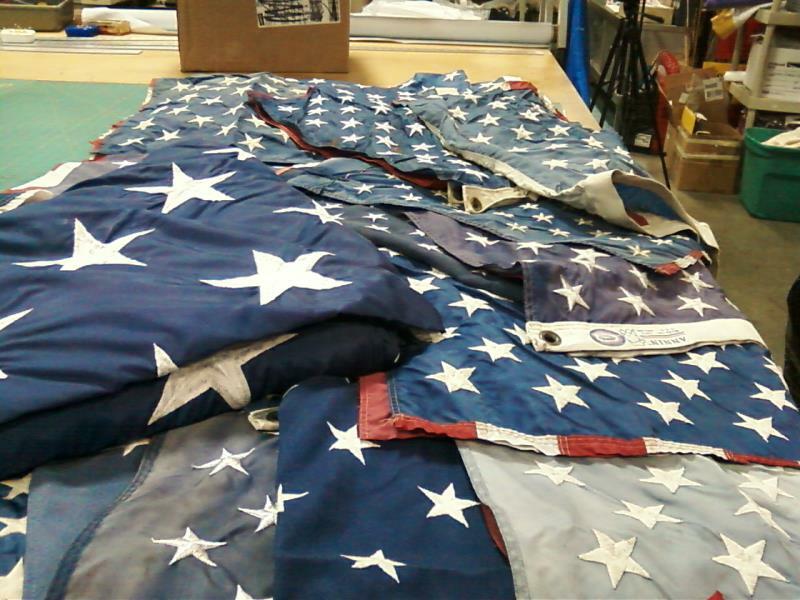 We appreciate only receiving flags that are 3 ft x 5 ft and American made flags with embroidered Stars. We love the different shades of blue of the canton and the Star does not need to look perfect. We are all volunteers and it takes a lot of time to sort through donated flags. We respectfully dispose of unusable flags. We would rather use the time to create the Stars and share them. Click on this picture of donated flags, can you pick out the ones we CAN’T use? 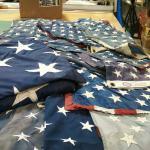 Flags from Military funerals should be given to your local National Cemetery, or to your local funeral home. 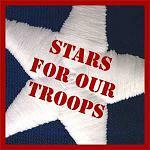 Attn: Susanw/Stars for our Troops Inc. TIP: If you have an abundance of flags to send, we recommend that you email us first, then retire the flags, remove the cantons without cutting into the blue area. We will give you the address to send them. This will save on shipping, and you can give the stripes to your local Veteran organization for disposal. Questions? Look at the contact and FAQ page first.